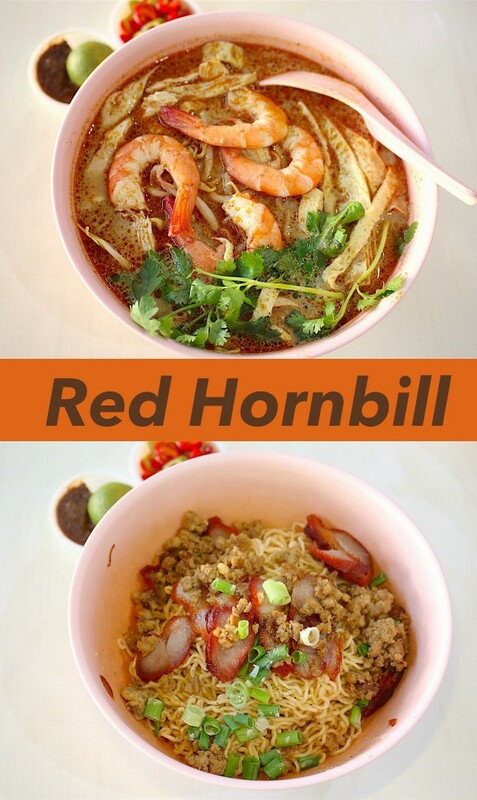 Looking for authentic Sarawak laksa and kolo mee? Well, they are really hard to find in Singapore, because the ingredients are just not the same here. However, I found a pleasantly "homey" rendition in Red Hornbill in a kopitiam just outside the Bedok Library. The owner, Mr Then Hua San, is from Sarawak, sources his laksa paste from his home state and custom makes his noodles to resemble the QQ and non-alkaline aspects of kolo mee. I've not been to Sarawak before, so I can't compare. The first time I had Sarawak Laksa was at Laksania, and the broth was seriously intense and complex. This one is much lighter and less punchy by comparison. But Laksania's one seems to have suffered in my subsequent visits, so Red Hornbill although more muted is still pleasantly balanced. The portions are seriously hearty, especially the laksa which comes with full prawns, chicken, shredded omelette and bean sprouts. And it comes with a super pungent sambal belachan you should not miss! 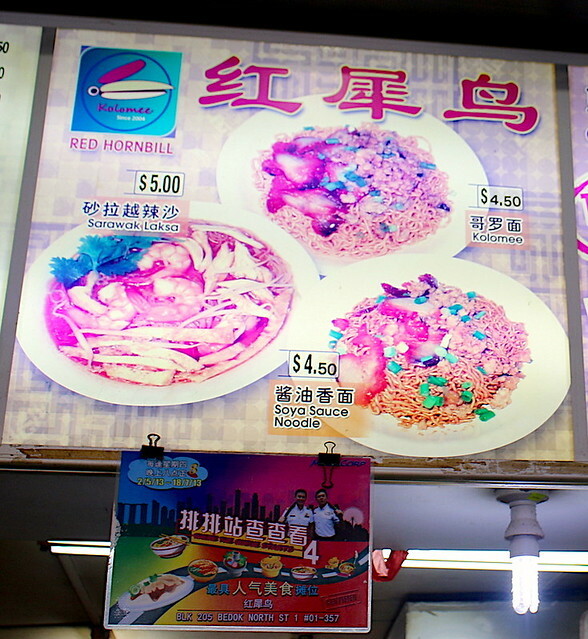 This small half-stall is easy to miss - its faded signboard has the words Red Hornbill in very small letters - but you'll likely spot the queue of homesick Sarawakians long before you see the stall. Full story in Yahoo Makanation and Makansutra. This is just the digest!